All #models #singers #adultentertainers #rappers #poets #djs #promoters #producers #engineers and etc come be a part of Trend Settahs Radio, don't miss this experience. The exposure is huge and the show its self is crazy and out of this world. 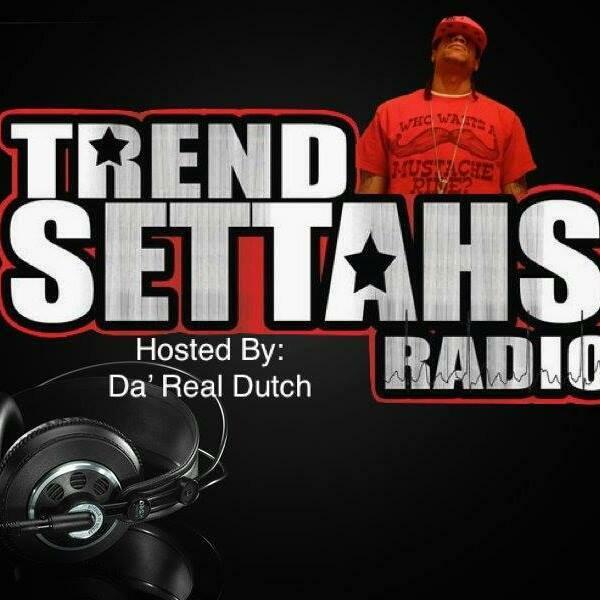 Contact me DaReal Dutch C.E.O of Trend Settahs @443-208-1072 or dutchcrawley@Yahoo.com or blogtalkradio.com/trendsettahs or Facebook.com/darealdutch serious inquiries only and #fans that would like to listen in and be a part of the movement. 347-857-1306 is the main the for the radio station. Once u submit songs or artist give me a heads up. We are live every night from 9pm-11pm, make sure you don't miss this opportunity. Live in the Building Justin McBryde from JMG Productions on Air Live now with your Host D. Slayer Gospel Artist. Call In now to show Love and Support this Man of God. We are Live on Air now. Lets get that Praise on.